I hope September is treating you well and the new school year (if applicable to your fam) has started as smoothly as can be. It’s transition time, and that means it’s not quite cold yet but those chillier days will soon pop up. 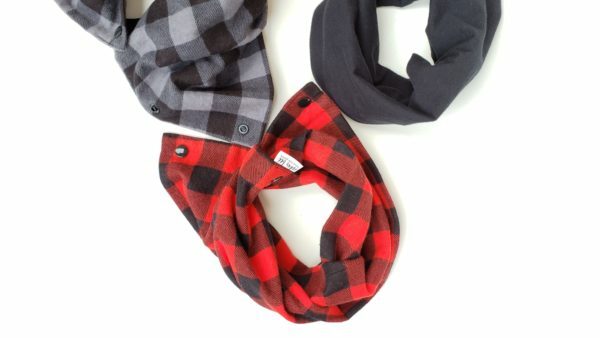 To make sure your little cubs are fall-ready, I’ve already got a good stock of lightweight but very cozy handmade flannel snap scarves in my shop — brilliant for your little boy or girl — and I will be adding a broader selection of soft, stretchy bamboo/Lycra and cotton/Lycra jersey snap scarves too! The jersey knit little infinity cowls are now reinforced at the snaps to ensure your little one’s scarf lasts longer than ever before. The sizing for these has changed from 6M-3Y to 6M to 5Y! Yay! Why? Over the course of a few handmade shows we participated in, we realized these scarves were useful beyond the original 3Y size I had planned. I even found new homes for my scarves with some ladies who wanted a closer-fitting neckwarmer for themselves. And they did fit! Our son is now 4.5, in junior kindergarten and his scarves still fit him beautifully. They’re great for back-to-school whether your kiddo is in daycare or kindergarten because it’s a simple snap (or 3) to put on and take off and it keeps their little necks covered at play. As always, they fit 6M (the minimum size) generously and can be lightly twisted and fluffed a bit to fit cozier on smaller babes. And with proper care they’re built to last through your kiddo’s toddler years and beyond! Got any questions? Follow my handmade journey on Instagram @cedarbeemade or on my Facebook page and drop me a comment or a DM! I’m always happy to help. 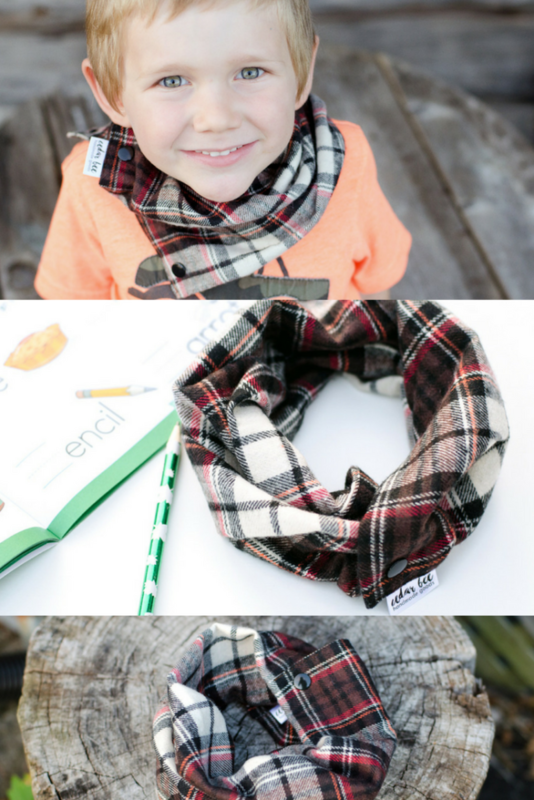 Share the post "That scarf though… Sizing updates and more!"